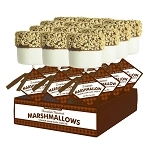 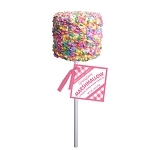 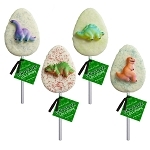 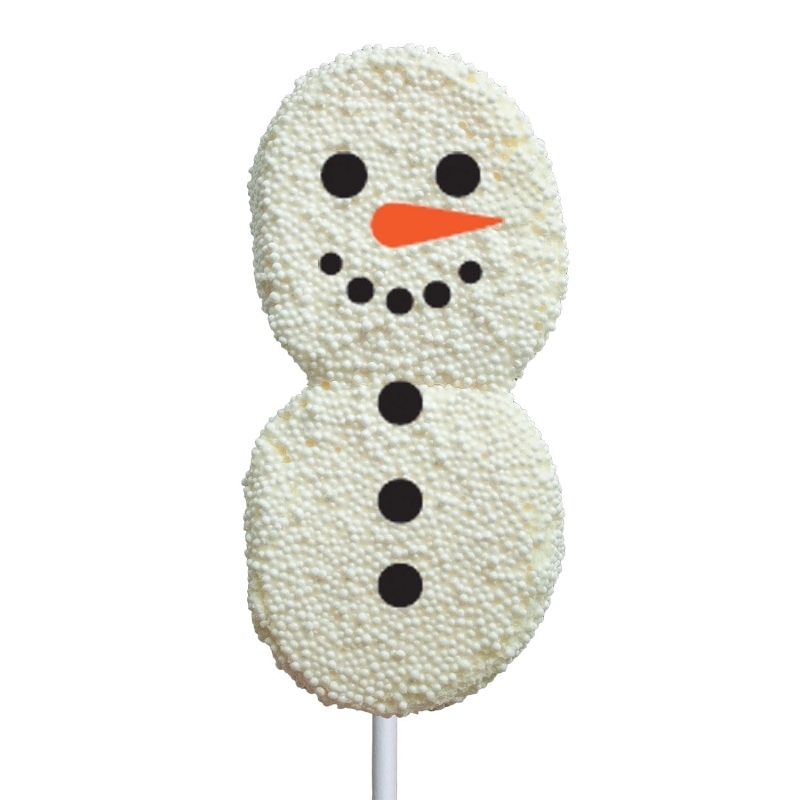 Our Snowman Marshmallow Lollipops come with 12 giant marshmallows dipped in white chocolate and coated in candy nonpareils. 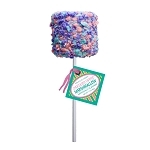 A decal face sticker and hang tag finish this item. 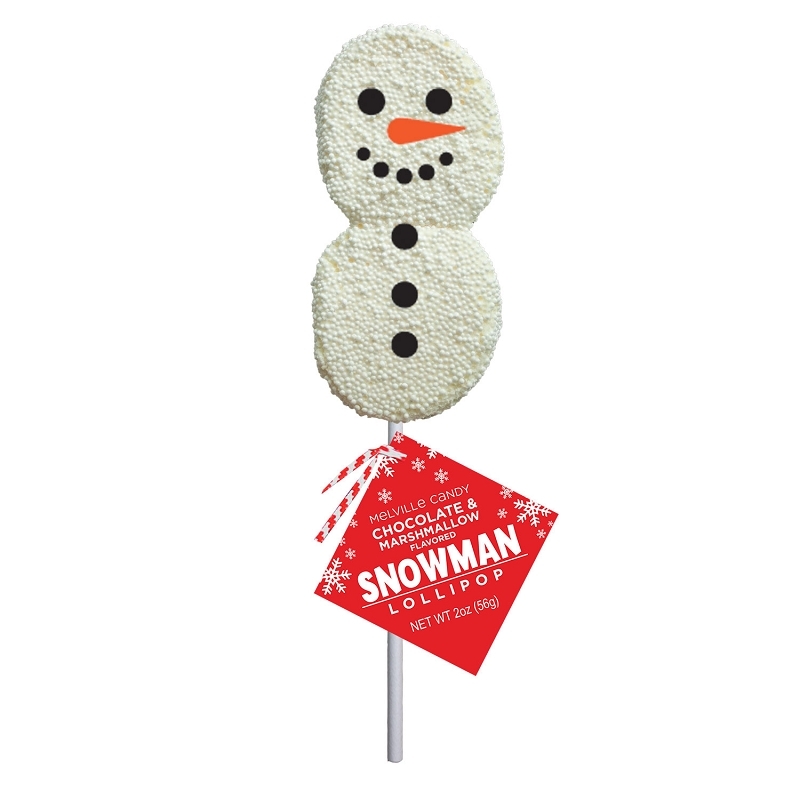 Each Snowman is hand-dipped; slight variations will occur.